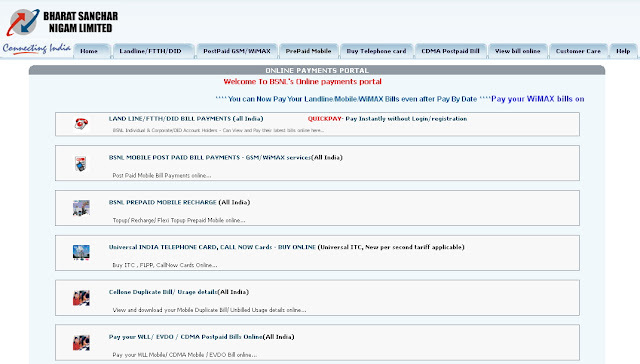 http://portal.bsnl.in is the Online Payment Portal of BSNL Kerala where BSNL Customers can view and Pay their Land line Bills and Postpaid Mobile Phone bills online. 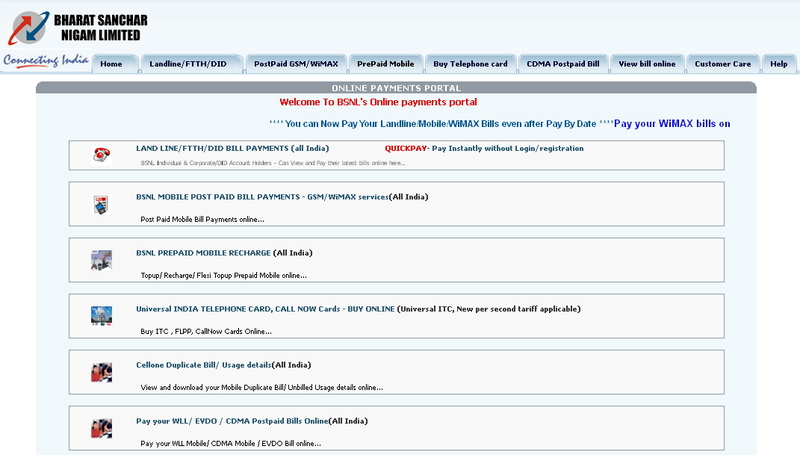 Customers can pay the Postpaid bills of BSNL Landline, FTTH, DID, GSM, WiMAX, CDMA Postpaid bills etc. Customers can also Recharge their BSNL Prepaid Mobile Phone, Buy Telephone Card, Customer can view Mobile and Landline bills online through this portal. http://portal.bsnl.in and click on Landline and click on Sign Up and fill the details and click on Submit. After Registering You can add your phone numbers by selecting your Stater and entering your phone number and account number (account number will be in the bill). You can add multiple phone numbers. Once you had registered you can pay the bill after login in the BSNL portal. All the outstanding bill will be displayed in the page and you can pay by clicking on Pay. 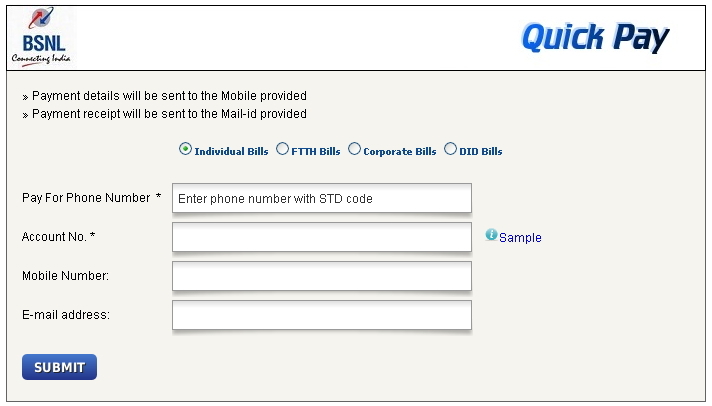 You can also pay the Postpaid bill without registering by clicking on Quick pay on the Portal. You will get 1% discount if you pay your bills online and the discount will reflect in your next bill. Now you can pay the Landline bill even after the pay by date through online. Payment can be made using Credit card, Debit card, Internet Banking, Cash Card, IMPS etc. 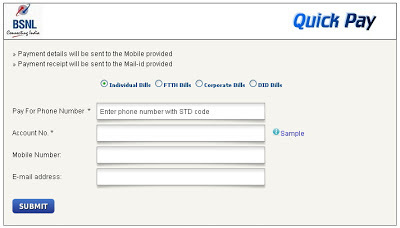 Customer can Recharge their or others BSNL Prepaid Mobile through this portal simply login with your username and password and Enter the Mobile Number in which you want to recharge and enter the denomination and enter the Credit or Debit Card or Internet Banking.